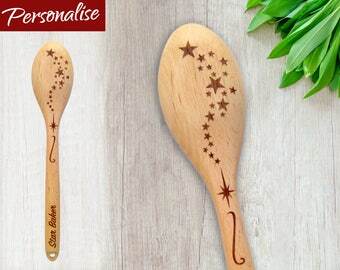 Our personalized wooden spoons are the perfect gift for those who love baking and/or cooking! They are practical keepsakes that add a personal touch to any kitchen creating lasting memories every time it is used. They make great Christmas gifts, birthday gifts, wedding gifts, housewarming gifts and presents for budding star bakers! Cute peeking cat with paw prints and personalized engraving on handle in a funky handscript font as shown in images. To personalize the handle, in the "Add your personalisation" box (above the add to cart button), please provide details of the name or short message you would like engraved exactly as you would like it seen on the spoon. 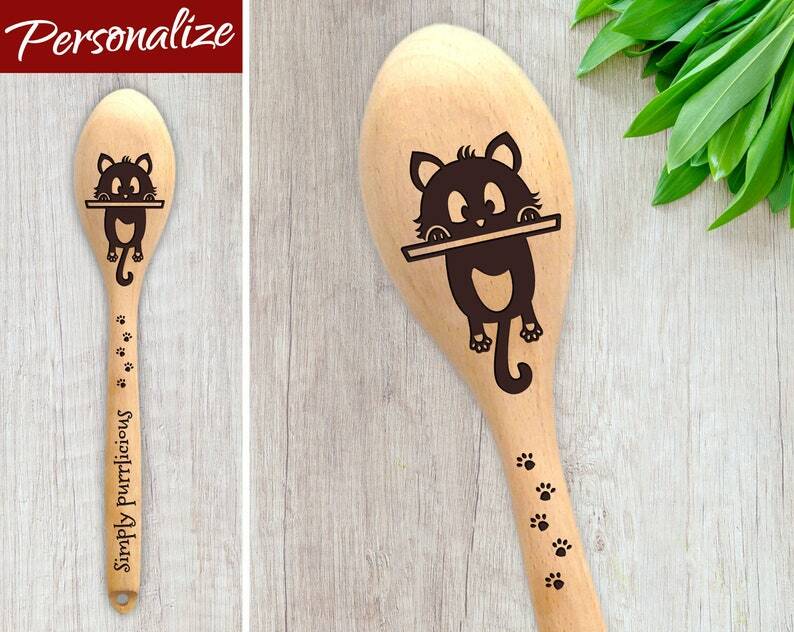 • The design and personalization is carefully laser engraved into the spoon and finished by hand using a food-safe beeswax and mineral oil coating to help preserve the wood. Please note, as wood is a natural product and all spoons are engraved to order, there may exist small differences in the product pictured and what you receive. If you have any questions or requests please feel free to get in touch!